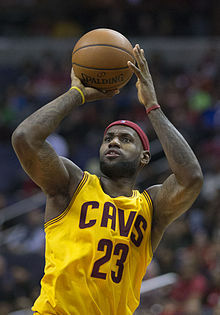 LeBron James is great, but he doesn’t deserve the NBA Finals MVP because he only led the Cavaliers to two victories and the final two losses weren’t even competitive. Keeping the Cavs close “at least through three quarters” is not MVP material. There’s only been one MVP from a losing team in Finals history: Jerry West in 1969. For someone to break that streak it needs to be a massive performance, and what James did wasn’t close to being that. Good point. A few years back somebody did a study on who was the real most valuable player, in the sense that their presence on a team contributed to degrees far exceeding individual stats. The prototypical example is Shane Battier, late of the Grizzlies, Rockets and Heat.